Exciting and unexpected—the Slonem bunny paintings run the gamut. This is a mega collection for adult and child alike that was published for the 2014 Easter holiday. 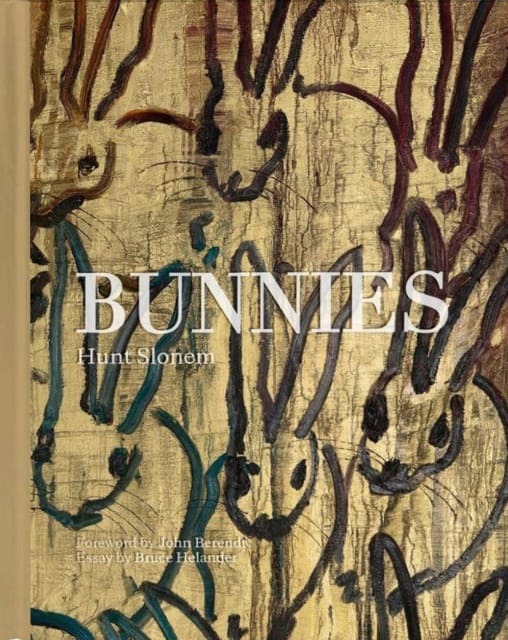 A treasury filled with enchanting, four-color and black-and-white paintings by celebrated artist Hunt Slonem, Bunnies features a foreword by bestselling author (and friend of the artist) John Berendt and an essay by artist and gallerist Bruce Helander. John Berendt writes, "Every morning, upon rising—even before he's had his first cup of coffee...Hunt Slonem performs his daily warm-ups...He approaches his work table where a stack of small rectangular panels awaits. Some of the panels are made of wood, some of Masonite. In the course of the next half hour he will have populated all the panels with rabbits. These paintings are what he calls his warm-ups."